Debilitating migraines are a common consequence of spinal-cord injuries, triggered by a chemical messenger in the brain that spikes very quickly to toxic levels. It has previously been impossible to detect such a fast change in the level of the responsible neurotransmitter, glutamate. Biomedical engineers from Purdue University have now developed an implant that can detect a glutamate spike and help track the damage it causes, which may find future use as a method for determining whether drugs for brain trauma or diseases are working. In healthy people, glutamate is associated with function such as learning and memorising. Damage to the spinal cord can cause it to leak into spaces outside cells, over-exciting and damaging them. This tends to occur very rapidly, with glutamate levels suddenly spiking. Devices that have been developed so far are not sensitive enough to detect glutamate, fast enough to capture a spike or affordable enough for long-term research or clinical application. 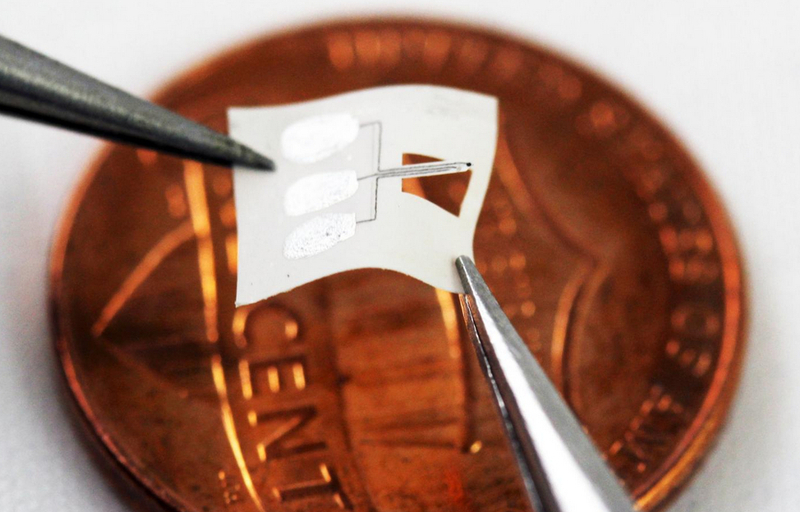 In a paper in Biosensors and Bioelectronics, Shi and the Purdue team explain how they produced a flexible sensor from platinum nanoparticle-based nanocomposite ink, using 3D printing and laser micro-machining. Using these two techniques allows the researchers to rapidly change the size, shape and orientation of sensors and test them in animals with no need for expensive microfabrication methods. In an animal test, with the implants mounted in the spinal cord, the researchers were able to capture the glutamate spike immediately, while previous sensors have taken half an hour to return data. Prof Shi hopes that the sensor will help determine the mechanism behind glutamate leaks and migraines, which is currently unclear. How big of a problem is a migraine? Is too much glutamate really behind the pain, or is it that the system that cleans up glutamate is down?” he said. The sensor might also be useful for monitoring other brain diseases. Parkinson’s and Alzheimer’s diseases are both associated with increased glutamate levels. Future research will focus on creating a way for biosensors to self-clear of inflammatory cells which the immune system built into a fibrous capsule which blocks the sensitivity. They also hope to implant more sensors along the spinal cord, to track how far glutamate spreads and how quickly.